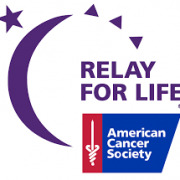 For the 13th year in a row, PPOA successfully participated in the American Cancer Society’s Relay for Life. We raised over $7,500 for this year’s event, making us a “Platinum” level fundraising team for Relay! We raised funds through a variety of efforts throughout the past year, including a Silent Auction and cocktail party, dress down contributions and the like. While we certainly enjoyed the camaraderie of our team efforts, we participated to help support the American Cancer Society’s fight against cancer. Phillips Parker Orberson & Arnett, for the 12th consecutive year, participated in the American Cancer Society’s Relay for Life event on May 18-19, 2012. As always, everyone at PPOA pulled together and made this effort a success. We proudly collected, through various efforts and donations over the past year, nearly $7,000.00 for Relay. This earned PPOA “Gold Team” status for this event. Team PPOA also enjoyed the celebration and camaraderie which are the focus of the Relay for Life event itself. Over the course of its participation in Relay, Team PPOA has collected and donated well over $87,000.00 to assist the American Cancer Society’s fight against cancer. On October 12, 2011, the firm held a dinner at Pat’s Steakhouse in honor of William Swain’s 50th anniversary as a practicing attorney. Bill is the dean of Kentucky appellate lawyers. His briefs, both at Boehl Stopher & Graves and Phillips Parker Orberson & Arnett, PLC, have shaped many, diverse areas of Kentucky law. Bill was presented with a two volume bound set of his published opinions and a photograph signed by the current members of the Kentucky Supreme Court, along with a letter of commendation from Chief Justice John D. Minton. On August 17, 2012, the firm hosted a seminar for our attorneys and local clients on Medicare Set-Asides and lien resolution. Medicare Set-Asides, more commonly known as “ MSA”s, are complicated and potentially factor in every settlement in a personal injury case. In order to learn the latest about these issues, PPOA invited speakers from The Centers and Brant Hickey & Associates to educate us and our clients. The seminar was very interesting and well attended—could the latter be because the seminar was followed by a cocktail party?